Nothing is going right for the bulls on Dalal Street. The world economy has encountered massive roadblocks in the form of geopolitical tensions and trade war threats, causing growth retardation. Like other emerging market currencies, the increase in US dollar value and rising interest rates in the US are creating problems for India as well. Recently, the Indian Rupee, which is grossly overvalued, has sunk in comparison to the movement of other emerging-market currencies against the greenback. It's been a double whammy for Indian investors. Foreign Institutional Investors (FIIs) have been shunning India as if its growth story has ended abruptly. Rajasthan and Madhya Pradesh are going into elections shortly. The Lok Sabha elections are due in May 2019. And in the political milieu, the uncertainty is making markets jittery. So far, domestic retail investors have shown stable reliance and have been investing religiously in equity markets through mutual fund vide SIPs (Systematic Investment Plans). But the incremental flows have started petering out now. We're just a few hours away from closing one of our best offers. An offer to get 30-Day unrestricted access to Smart Money Secrets (Normally worth Rs 6,000 per annum) for Just Rs 99. PLUS, there a lot more. Don't wait for another minute! In January 2018, nobody expected the leading indices, the S&P BSE Sensex and CNX Nifty, to fall more than 10% in just two months. And, in March, hardly anybody would have anticipated that in coming months the markets would scale new highs in the coming months. Again, we are witnessing the market turbulence. 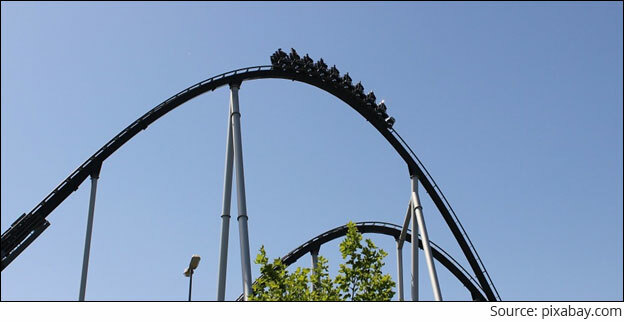 Indian markets are giving investors a roller-coaster ride. Are you apprehensive of abrupt market movements? In fact, market volatility can prove to be advantageous for you. Simply because that helps you accumulate more number of units. Those bamboozled by the market volatility repent when markets regain the lost ground and continue to march northward. What should be your strategy to beat market volatility? PersonalFN's research believes core holdings should form 60% of your mutual fund portfolio and the rest 40% shall consist of satellite holdings. Weightage of each portfolio constituent in both 'Core' and 'Satellite' categories can make a huge difference in the end. Unless you monitor your holdings and recalibrate your strategy to suit the changing market conditions, especially for the 'Satellite' part of the portfolio, you may fail to derive the real benefits of the 'Core and Satellite' approach. While the 'Core' part of your portfolio focuses on the stable schemes with a long-term view and the 'Satellite' part revolves around capitalising on short-term opportunities, the combination helps you generate superior returns without taking excessive risks. Each fund should have seen at least three market cycles of outperformance. The number of schemes should not exceed 6-7 in your portfolio. At present, many mid and small-cap stocks have fallen in the range of 40%-70%. The Net Asset Values (NAVs) of many mutual fund schemes are also down over 20%. Although the overall market valuations may still look expensive and FIIs might appear to be wary of Indian equities, fall in many mid and small-cap stocks has made valuations attractive. Managers of worthy mutual fund schemes take advantage of such attractive buying opportunities. Process driven mutual fund houses and experienced fund managers, in fact, await market corrections like the prevailing ones. Large-cap funds and the value funds would also benefit from the present market conditions. Although the problems of IL&FS debt are deep-rooted, the subsequent fall in the financial stocks might have to offer lucrative buying opportunities to fund managers of process-driven fund houses. 'Core and Satellite' strategy helps us tackle the present market volatility. However, investing in mutual fund schemes that have a proven track record and from the process-driven fund houses is imperative. Equitymaster requests your view! 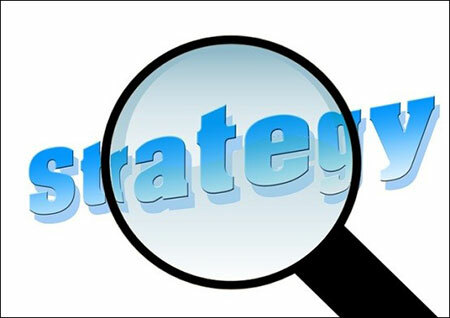 Post a comment on "A Portfolio Strategy That Could Help You Reduce Shocks Of The Equity Market". Click here!